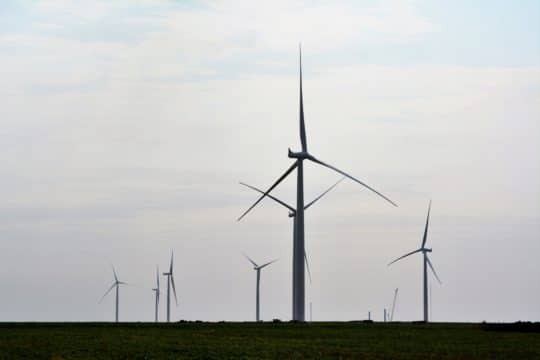 The 154 megawatt (MW) Rock Falls Wind Project was commissioned by EDF Renewable Energy (EDF RE), EDF Energies Nouvelles’ North American subsidiary. Kimberly-Clark Corporation (NYSE: KMB) signed an agreement with EDF RE for 120 MW of generation which marks Kimberly-Clark’s first utility scale use of renewable energy. Rock Falls Wind Project, located in Kay and Grant Counties in northern Oklahoma, consists of 60 wind turbines and various components manufactured in the USA. The project has created more than 150 jobs since start of construction in July 2017 along with millions of dollars injected into the local economy.